Absolute front row that can never be built out. To say this property is a rarity is an understatement. Held in the same family since new this is your opportunity to secure an exclusive location so coveted by all. 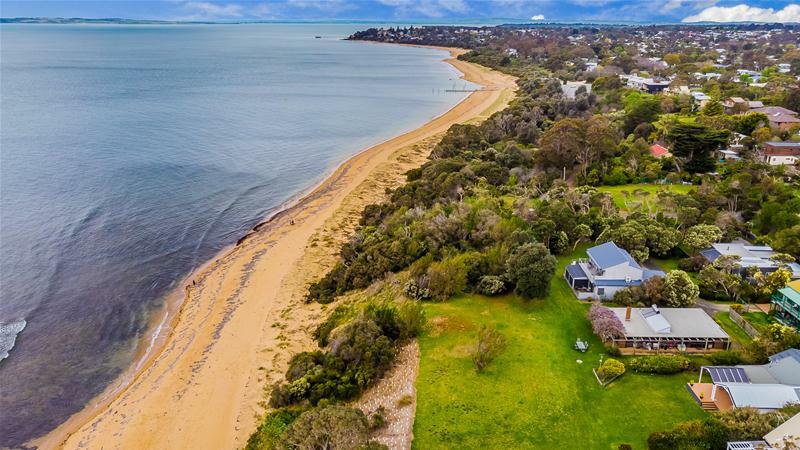 With nothing in front of you the northerly views stretch from the Cowes foreshore across the water to the sparkling evening lights of Somers and Flinders to Stoney Point and French Island. 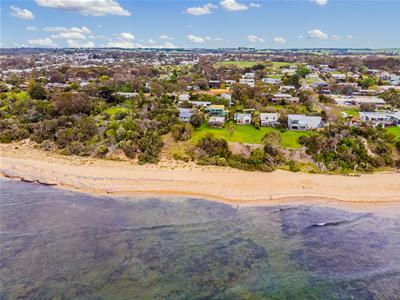 Enjoy direct beach access and the privacy this fabulous location offer. The existing 3 bedroom beach house is zoned for the parents at one end and kids at the other. Two separate lounges PBE with open fire place, central kitchen and casual out door living drinking in that amazing water view. 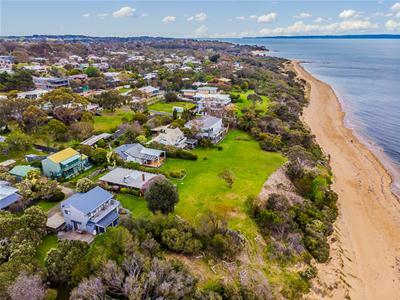 Only minutes to Cowes, the boat ramp streets away, world class surf beaches and all that Philip Island has to offer. Set on 442m2 our owner had stunning bespoke plans done for a new two story residence that they are happy to provide to the new owner.